In the late 1800s, many of Salem's businesses and organizations began embracing the city’s dark history by including witches in their advertisements and celebrations. 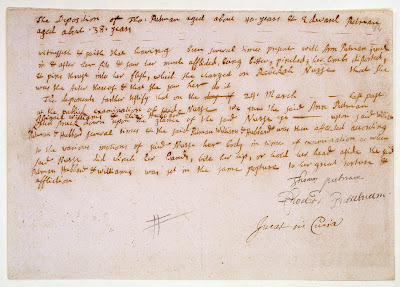 Tourists flocked to Salem to see artifacts and locations from the Witch Trials of 1692, including a display case at the Essex County Court House that housed, among other items, “witch pins.” These straight pins were said to be evidence presented during the trials, used to inflict harm by the accused witches during the city’s period of hysteria. 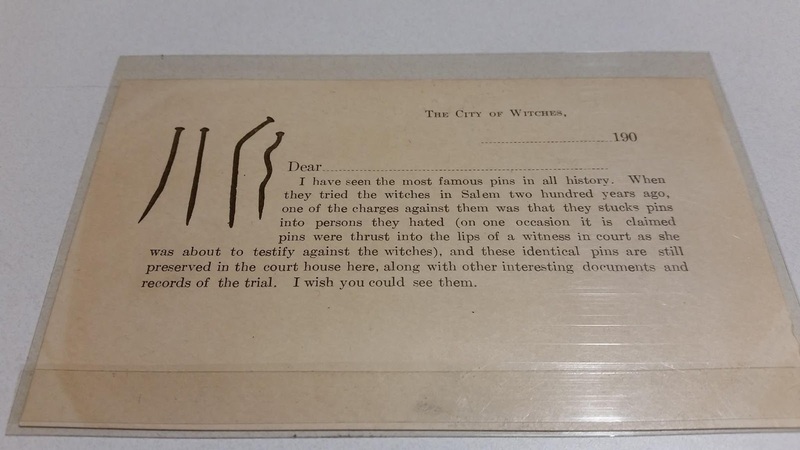 The postcard above dates circa 1900-1901 and references the witch pins on display. The exhibit at the Court House was eventually discontinued due to the disappearance of many of the pins. 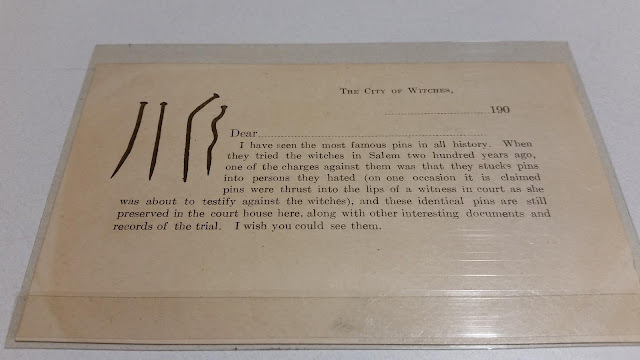 Although the pins once showcased in the Court House are not thought to be original to the trials of 1692, references are made in The Salem Witchcraft Papers (trial transcripts) to straight pins being used by the accused. 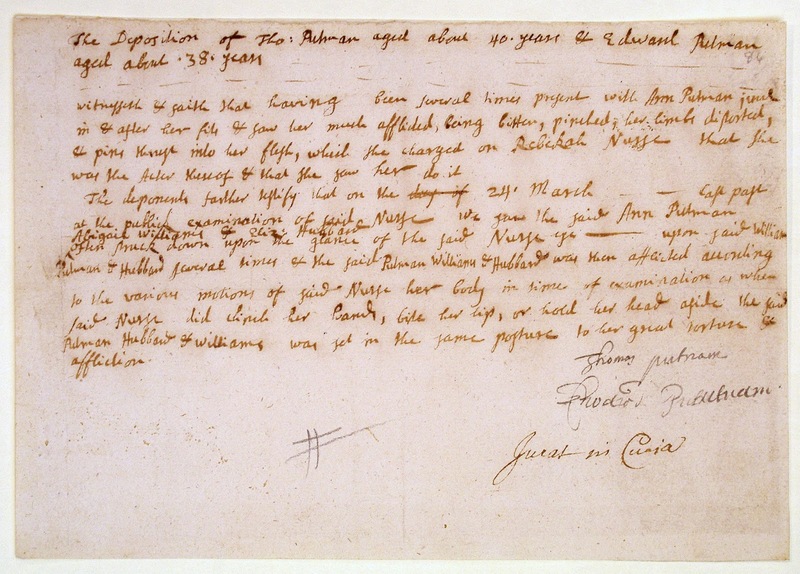 Below is an excerpt and original manuscript from the trial of Rebecca Nurse.